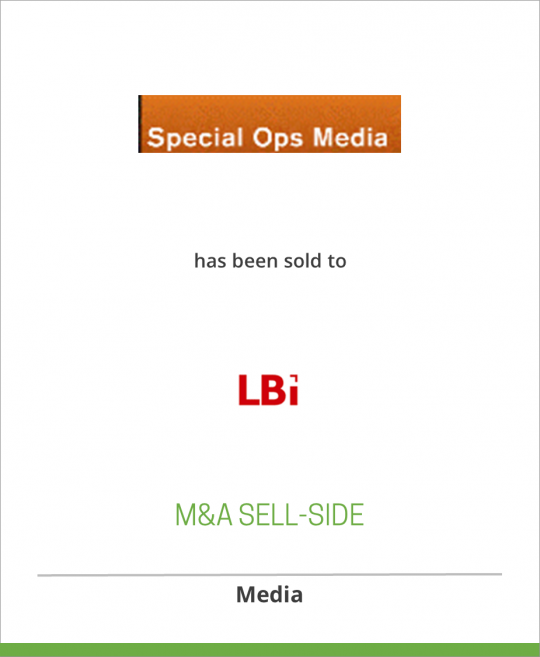 Special Ops Media (SOM) is a full-service interactive agency that provides clients with the opportunity to have all of their online needs serviced within a single organization. SOM has achieved a national reputation for their expertise in online marketing & strategy, online media (planning and buying), creative services and online publicity. SOM’s highly original and well-orchestrated digital campaigns employ viral initiatives, guerrilla marketing and other grassroots tactics, in addition to traditional interactive advertising methods. Since its founding in 2002, SOM has created and managed innovative and attention-grabbing campaigns for a wide variety of major national and international brands, among them Citigroup; The Coca-Cola Company; Hachette Filipacchi, Harper Collins, Scholastic, Penguin Publishing; Dell Computer; MTV, Spike TV, NBC Universal, AMC, The Sundance Channel, Lionsgate Entertainment, Paramount, Universal Music Group, Capitol Records, Columbia Records, EA Games, Ubisoft, Atari and Proximo Spirits. For more information, please see www.specialopsmedia.com. LBi is a global marketing and technology agency, employing approximately 1,500 professionals located primarily in the major European, American and Asian business centers, such as Amsterdam, Berlin, Brussels, London, Milan, Mumbai, New York, Paris and Stockholm. LBi blends the full range of service disciplines to create innovative multichannel solutions for national and international corporate clients. LBi is listed on OMX Nordic in Stockholm and Euronext in Amsterdam as (symbol: LBI).